The luxury home in Stellenbosch where three members of the Van Breda family were brutally murdered earlier this year, is for sale. 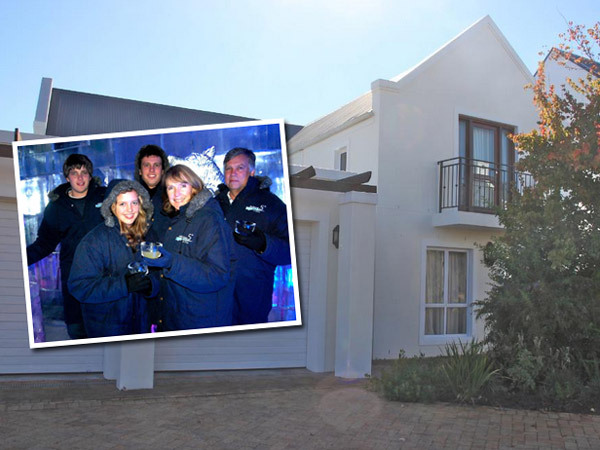 The luxury home in Stellenbosch where three members of the Van Breda family were brutally murdered earlier this year, is for sale, Netwerk24 reported on Thursday. An axe was used to kill Martin van Breda, his wife Teresa and 22-year-old Rudi. His two siblings, 16-year-old Marli and Henri, 20, survived the attack. The house, in the De Zalze Winelands Golf Estate, is on the market for R6,2m. According to estate agents RE/MAX, the house boasts four bedrooms, four bathrooms, two living areas, a pool and two garages. The furniture is to be sold separately. RE/MAX’s Deon de Swardt told Netwerk24 that a verbal offer had already been made on the property.